Have you been involved in an accident with a heavy truck? You know just how scary that experience can be. 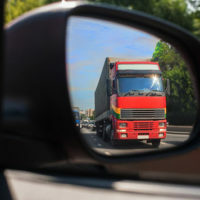 Truck accidents can be more deadly and cause greater injury and damage because of the significant weight difference between trucks and passenger cars. Litigation resulting from a truck accident can be complex because a variety of parties can bear responsibility for the accident. In its 2015 Traffic Safety Facts, the National Highway Traffic Safety Administration (NHTSA) reported that an estimated 95,000 people were injured in 2013 in accidents involving large trucks. That same year, 3,694 people were killed in large-truck crashes. While some of those killed were truck drivers and passengers, 71 percent of those who died were occupants of the other vehicles. NHTSA’s report indicates that in Florida in 2013, 187 large trucks were involved in fatal crashes. There are two primary theories of liability in truck crashes – negligence and products liability. Overloaded the driver’s schedule, causing driver fatigue. Failed to load or secure the cargo properly, making the truck difficult to control. A products liability case seeks to hold the manufacturer and/or distributor of a defective product liable for any injuries caused. With a truck accident, potential defendants include the manufacturers and distributors of the truck itself, or of any of the vehicle’s parts. A product may be defective as the result of a design defect or a manufacturing defect. With a design defect, the product is inherently defective, regardless of how it is made. Because of a design flaw, the product is unreasonably dangerous. With a manufacturing defect, the product as designed is safe, but defects occurred during production or manufacture, making it unsafe for use. A third theory of product liability concerns the product’s marketing. In such a case, the product is distributed without effective instructions or warnings about non-obvious hazards. Trucking companies know the exposure they face in an accident is potentially enormous. Because of this, they employ experienced defense lawyers to shield themselves. In a case involving multiple defendants, each defendant may try to tag the others with liability to avoid its own responsibility. You deserve to have someone on your side with equal experience and dedication, fighting to help you and your family obtain compensation for your losses. For a free consultation, contact the skilled truck accident lawyers of Lesser, Lesser, Landy & Smith, PLLC. We serve clients in Boca Raton, Stuart, and West Palm Beach.